You just can?t mistake thevoice, even if where you?rehearing it is a bit shocking. Its rich, deep tone, well-enunciated nouns,immediately says you?re hearing George Takei. You don?t have to even be an animationfan to understand that. After all, Takei has beenworking in animation for over 35 years, starting with Filmation?s Star Trek: Animated Series back in 1972where he returned to his role of Lt. Hikaru Sulu of the U.S.S. Enterprise. Fromthere, his unmistakable basso has been heard in such cartoons as Disney?s Mulan, Batman Beyond, Kim Possibleand Chowder. Now he is the voice of anew villain, Lok Durd, on Star Wars: Clone Wars . Interestinglyenough this makes Takei the first actor, and still so far the only, to work forboth Star Trek and Star Wars. ?I don?t consider itjumping ship,? says Takei. ?The Star Trekphilosophy is to embrace the diversity of the universe, and Star Wars is part of that diversity. Ialso think Star Trek and Star Wars are related beyond both havingthe word ?Star.? Not that he doesn?tacknowledge differences, either. ?Star Trek is science fiction,?said Takei. ?Star Wars isscience fantasy. Based on the episodes I worked on, I think with Star Wars: Clone Wars we?restarting to see a merging though. It does deal, philosophically, with some ofthe issues of the time, which is always something Star Trek was known for. War, Peace, Technology, Humanity,Sacrifice and Courage; these issues. I found that engaging. ?The other thing I found isin doing the Star Warsanimation, especially when compared to the StarTrek animation, it was really working as an actor. I was actuallyworking with other actors. When we did the recording (for Clone Wars?ED) the had the entire castthere. So we were able to bounce off of each other. You get a better idea ofthe characterization that way, the vocal rhythms of the other characters. ?When we did the animationfor Star Trek, they wereactually trying to be accommodating by setting their schedules around ours. Sowe came in individually. So it was often the case that when I was coming in,Leonard (Nimoy, Mr. Spock) was leaving. When I went into the recording booth,they would have the script with my lines underscored with a colored pen. Iwould just read my lines according to how that scene was played. I never playedwith Leonard. Then when I was leaving, Jimmy Doohan (Scotty), would come in anddo his lines.? In other words, Takei muchprefers doing what in animation parlance is called ?radio style? as opposed todoing it in isolation. ?You know I grew up in theage of radio,? Takei pointed out. ?That was my main boyhood form ofentertainment; lying on the living room floor with my ears affixed to theradio. I loved shows like The Phantom,Cisco Kid and even HappyTheater when I was younger. To be able to see actors who can actwith only their voices was just a real treat. It reminded me of the loss ofradio acting. [By the time he started acting] Radio dramas have disappeared.What we do have now is books on tape, which I find wonderful. I?ve done some ofthose. Otherwise, radio acting is now gone. ?I found that when I actedalone in the recording booth than when I did it with other actors. You know,the Star Trek animation was inthe early 70s. I honestly found that to be very unsatisfying. I didn?t know howLeonard read his lines. All I would get is some cues from the director. Hewould go ?Do it a bit louder,? ?Do it a little bit softer? or more intensely orinternalized. At the same time I was trying to hear the lines that Leonard saidbefore me in my mind?s ear. ?With Star Wars I was bouncing off the actor,?Takei said. ?We were all together in the same studio. Yes, there were thoseglass windows there with the technical people on the other side. Still, tobounce off other actors is just wonderful, especially after that Star Trek experience. That was purelysolitary acting with the director talking to you through a headphone. Thatwasn?t fun at all.? For the record, Takei trulyenjoyed working with the likes of Ashley Eckstein (Ahsoka Tano), Matt Lanter(Anakin Skywalker) and Dee Bradley Baker(the various Clones). ?They were all exceedinglytalented actors,? he said. ?The actors who played the Lurman, the kind of Irishaccent that they had, were just marvelous. I would talk to them between takesand during the break, and just go back to being completely American. I couldn?tbelieve just how well they could make characters vocally.? One also gets the feelingTakei enjoyed playing his character, who is humongous, slug-like andexceedingly pretentious villain. ?They seem to think myvoice is ?fat.? That it sounds ?obese.? In fact, grotesquely obese,? Takeilaughed. ?They showed me a drawing of the character I was supposed to voice andthe first thing I thought was ?Oh no! Not again!? because I had done the voiceof the First Ancestor in Disney?s Mulan.That was also a huge, enormously obese character. Lok Durd is also immenselyobese. ?Then when I saw thefinished product I couldn?t help but realize it was amazingly well done. He?sjust extremely flabby and loose he is. It made me wonder why I do all the situps, push ups and other exercises I really do when they think of that kind ofcharacter for my voice. I mean when Lok Durd moves, you can see his stomach,arms and legs, all his flesh, just jiggle. The animation is just amazing! Oh,the vanity of an actor!? But when it was pointed outwhat it would be like to do a live action of Durd, Takei openly admits heprefers the animated version well over what the other way would have been. ?Thank God!,? he laughs ?Ijust have to think of how hot and uncomfortable it would have been in the fatsuit alone.? Actually, from the soundsof the process, Supervising Director Dave Filoni made sure that Takei had avery clear idea about Durd long before they recorded him. ?They made sure I got tosee what the character looked like,? he said. ?I knew pretty fast how I wantedto play the character. They also gave an outline of the character, how it wasconceived. I also got some stuff about him from the internet. When I reportedto the studio, I met the other actors. From there I just dove into it.? Not that the process ofcreating Durd was to immediately jump into the recording booth, either. 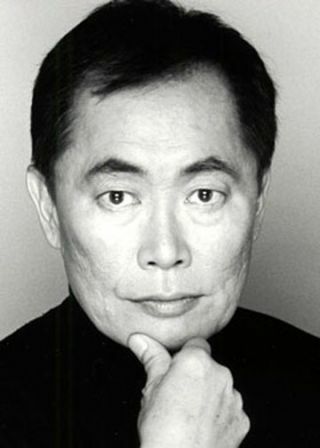 ?I do a lot of voice work,?Takei stated. ?In fact, I just did some this morning. Yesterday I was actuallyin London, where I did some commercial work and today they had emailed me therewrites. So I went into a sound studio this morning and patched the rewrites.So, you can say I?m used to working vocally. ?What?s important with Star Wars, they made sure I had enoughmaterial to have a hook before I went into the studio. So I had practiced athome before the session. It helped me get a fix on the character. Of course, Ikept myself open for whatever thoughts the director had. Still, it waslistening to the other actors that was the real stimulation. That?s what got myjuices going. ?After all the prep work,what also helped was having a run through with the other actors. That was whenthe director might give you some pointers. I remember him telling me to givesome lines a bit more power or punch, those kind of things. From there I wouldgo into the booth and do it.? The final result is a trulymemorable new addition to the SWCWuniverse. One that, even though he won?t say exactly when, appears to be arecurring character for the series. This led to anotherinteresting aspect for Takei. As one can imagine, he has a gigantic followingthanks to his long tenure on Trek.As any comic book fan knows, he then took on a recurring role in the series Heroes. The end result is it increasedhis fan base. He wouldn?t be surprised if doing SWCW will do the same thing again. ?Any work that one does hasa way of expanding your access to the audience,? says Takei. ?As you probablyknow, I?m a recurring character in Heroes.Now when I do conventions, I?ve noticed that I?m being approached by a lot of Heroes fans with pictures of me as KaitoNakamura. Perhaps now, when I go to conventions I?ll be approached to sign LokDurd photos. Maybe I?ll even be invited to StarWars conventions. We?ll see what happens. ?Last year, I did a Britishreality show called I?m A Celebrity...GetMe Out of Here!. There they got twelve celebrities from manydifferent arenas. This includes someone who was a member of Parliament, a womanwho is the Barbara Walters of British television, and a children?s TV showhost. The only one I knew was Martina Navratalova, the tennis player. ?We were all sent to therain forests of Australia for three weeks, living off of basically only beansand rice, facing various challenges. This show is enormously popular. It wasthe highest rated show the weeks it was on. So I remember one day walkingaround in London, in Piccadilly. People right and left were coming up to me andsaying ?Hi George! We loved you on Celebrity! ?So every work you do that becomes enormously popular adds to your audiencebase. While I doubt if I walked down the street I?ll be visually recognized asLok Durd, I?m sure Star Wars: Clone Warsfans might stop me anyway. I would also say it has again expanded my sphere ofidentification. ? Whatever else, Takei willfind that out starting this Friday at 9:00 p.m., when he makes his debut on Star Wars Clone Wars on Cartoon Network. In Part 2 ? It wouldn?tbe an interview without some Star Trek questions. Among Takei?s answers will beabout the recent losses of Majel Roddenberry and Ricardo Montalban, as well ashis opinion of the new Sulu, John Cho.